Based on this tutorial written by devvv. 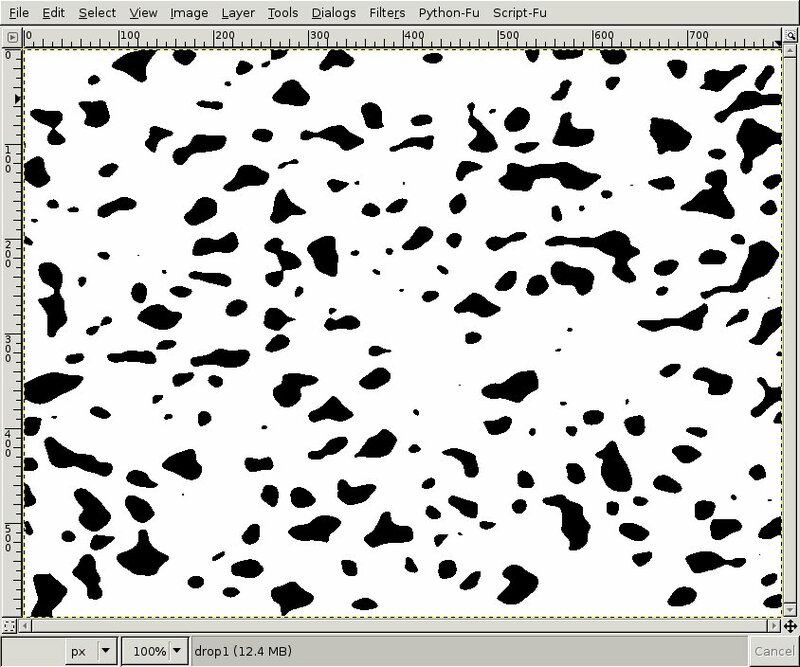 This has been adapted for Gimp 2.2. 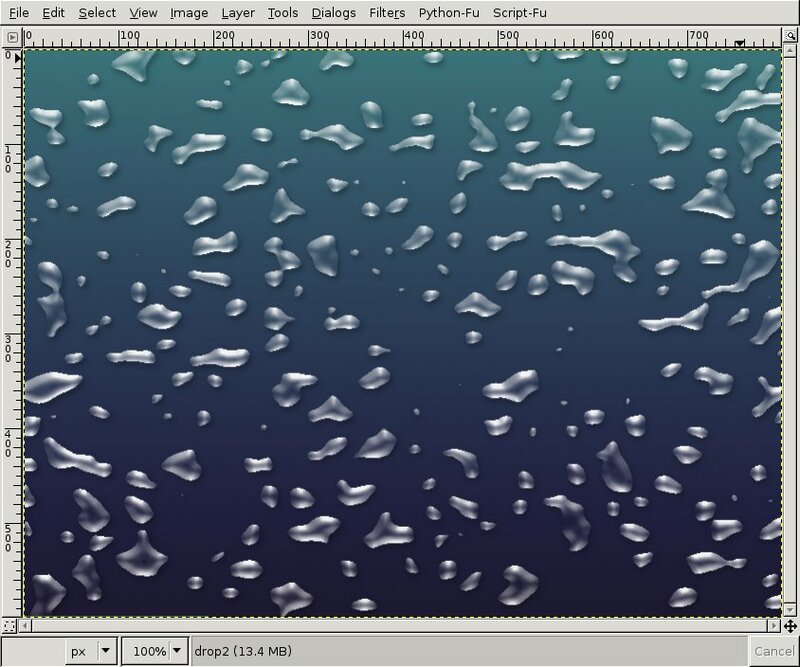 Learn how you can make very cool and realistic waterdrops with GIMP. 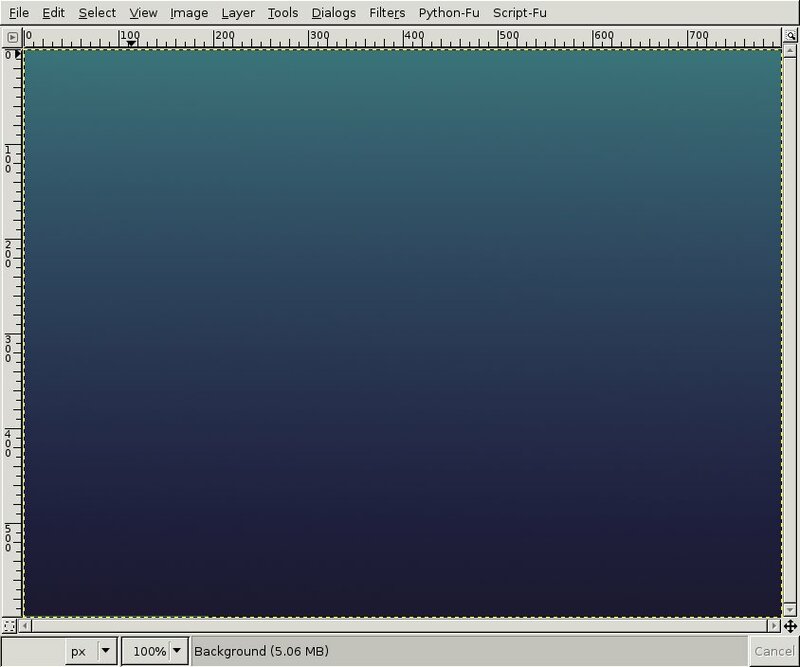 Create a new file: 800x600px. Fill it with any background color you want. I filled it with a nice violet-cyan gradient. Add a new Layer. 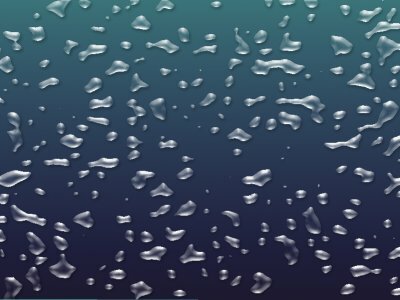 Filters / Render / Clouds / Solid noise. Use max values: 16/16. Layer / Colors / Threshold. Use the values left: 86, right: 172. Choose Filters / Colors / Color to Alpha and choose white to make all the white transparent. After this invert all the pixels: Layer / Colors / Invert. After that all black should be white. 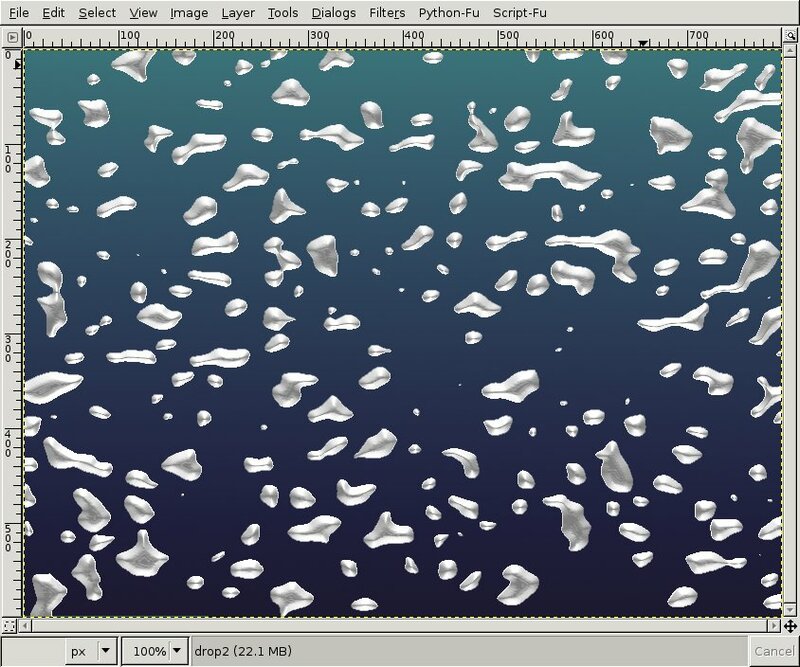 Duplicate this layer, make it invisible by clicking the eye icon left to the layer in the layers dialog. Right click the layer in the layers dialog: "Alpha to Selection". Select / Save To Channel. Press CTRL+SHIFT+A to deselect all. Go to the Channels dialogue and make the new channel active. Probably a good idea to rename it too. I renamed it to "dropsel". Click on the eye symbol to make the channel visible. 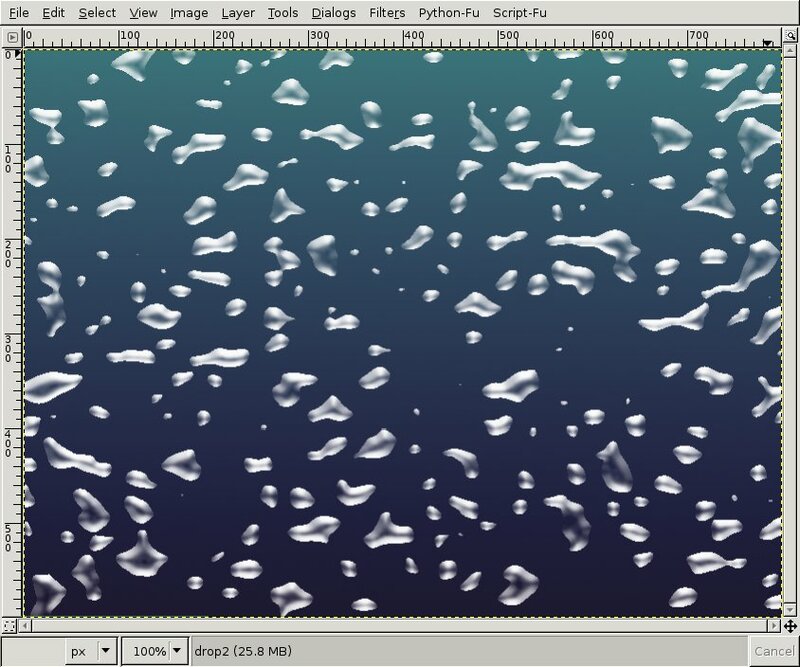 Use Filters / Blur / Gaussian Blur 3 times with these values: 7 then 3 and finally 1. Click the eye symbol to make the channel invisible. 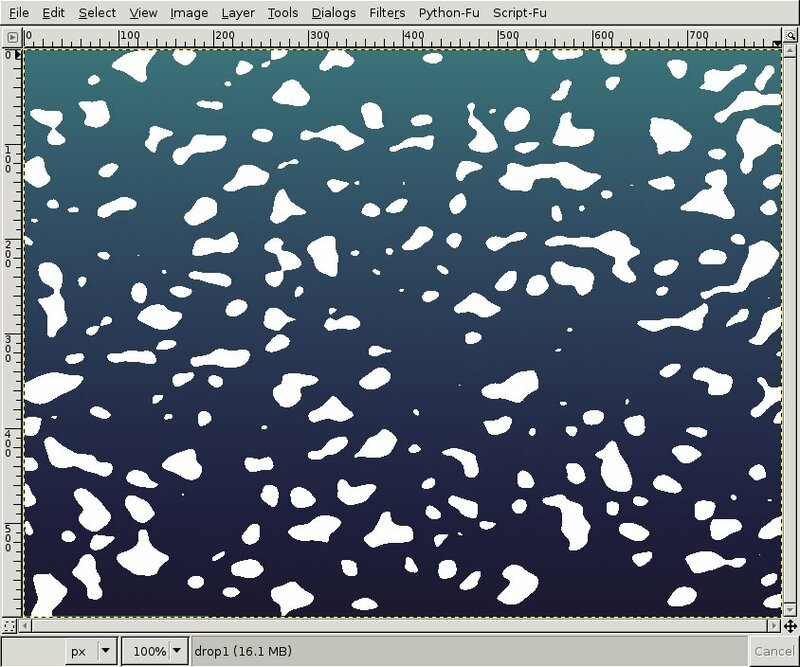 Switch back to the layers dialog and click the layer that contains the white "drops". We will now illuminate the drops from 2 sides (from top and from bottom) so we get some pretty real hightlights for the water. We need 2 directional light sources. Don't forget to use the channel we created in step 6 as bumpmap. 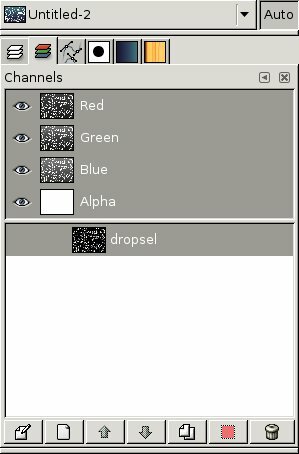 Lock the alpha channel ("keep transparency") of this layer. This option is found above all layers. 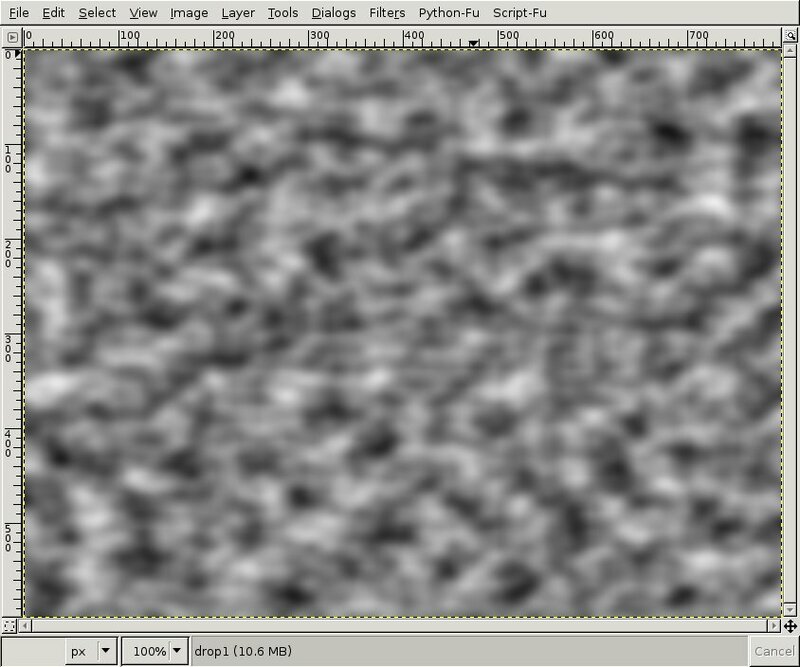 Then use Filters / Blur / Gaussian Blur: 4px. 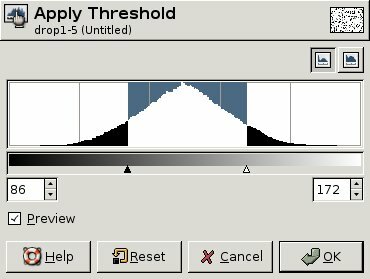 Using this option has the effect that all filters or anything else you may do on a layer is only applied to the visible pixel. In this step we use this to get nice little blurred grays. However we need to see clear differences between bright and dark gray as well as a clear white. After this you make the gray in the middle transparent by using Filters / Colors / Color to Alpha again (pick the gray in the middle). At this point, the result already looks pretty good, but we can still make some improvements: Any drop needs a soft black shadow to look more real. Rightclick the invisible white layer in the layers dialog and choose "Alpha to Selection". With this selection active, use Script-Fu / Shadows / Drop Shadow: X:2,Y:3, Blur:9, Transparency: 30. Deselect "Allow resize". Deselect all: Select / None. Our drops are a bit too white and not transparent enough. Activate the visible drops layer. Disable the "keep transparency" option. 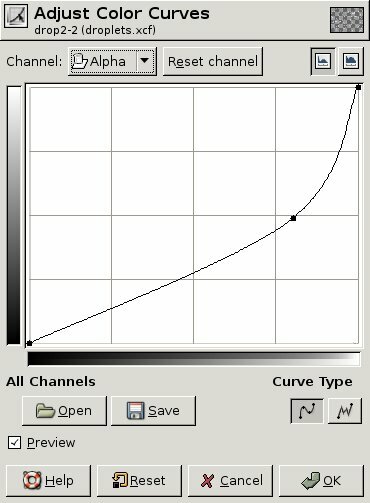 Layer / Colors / Curves, use the Alpha channel and apply the curve seen on the picture. Tip: Shrink the size of the picture afterwards to get an even more realistic look!